Join the growing number of forward thinking corporate clean energy users. 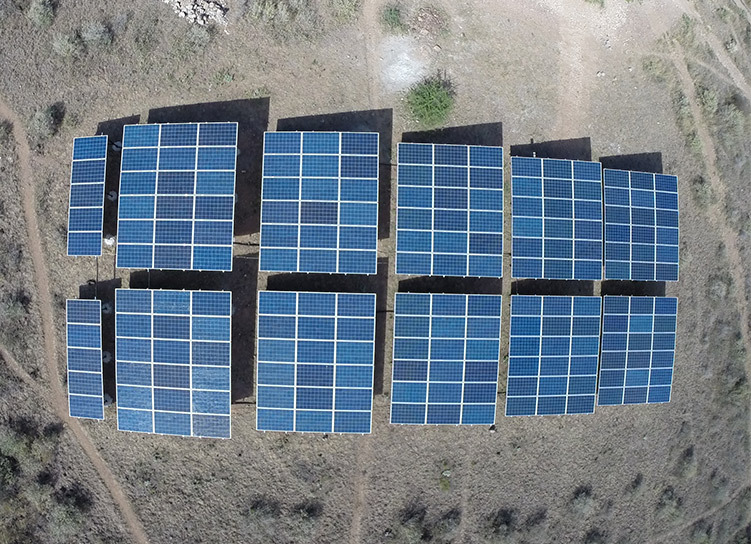 With a growing portfolio of existing energy contracts and a dedicated fund, we provide complete energy solutions in Sub-Saharan Africa, making us the better energy choice for any company wanting solar energy as an alternative to grid or diesel. Our certified EPC partners design and install the systems that we finance and own. We provide solutions that optimise solar energy production to meet your requirements. Our assets are monitored from an intuitive software management platform to ensure the best service for our customers. Our energy solutions are currently offered in South Africa, Kenya, Tanzania, Rwanda, Ghana and Nigeria. New markets are considered depending on size. We finance your green energy solution, you simply pay for the solar energy you use. We offer both off-grid and grid-tied energy solutions for Commercial & Industrial users. Predictable energy bills with savings from day one. We take full responsibility of the system so you don’t have to. See how Kaysalt is saving 22% of their electricity costs every year! In partnership with CrossBoundary Energy we manage Africa’s first investment fund exclusively investing in Commercial and Industrial solar energy throughout Africa. Together, our goal is to enable the delivery of energy as a service to unlock the Commercial and Industrial solar generation in Africa. Q: What is the process to implement solar at my company? 1. Contact our in country sales team to arrange an introductory meeting. 2. Complete the SolarAfrica Information Request Sheet (IRS). 3. 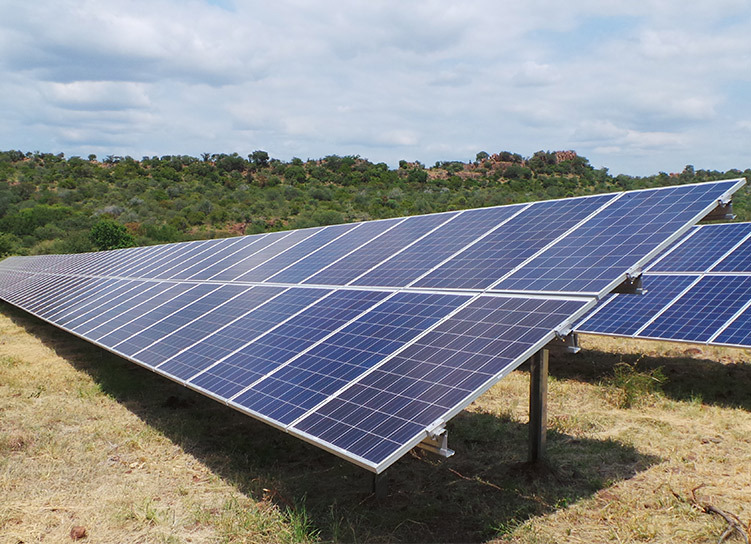 SolarAfrica will then provide a preliminary proposal and follow the necessary procedures to determine the most feasible solution for your site. Q: How does your solution work for Commercial and Industrial? A: Given that the solar PV system is a simple grid tied system (no batteries). The Solar PV system will only provide power during sunlight hours. The system will synchronise to the local utility grid and supplement the power provided by the grid. Q: Do you offer an off-grid solution? A: Yes, we have a portfolio of off grid solutions. However, the minimum load requirements are ±60,000 kWh per annum, equivalent to an annual diesel consumption of ±20,000 litres. Q: How do I know what type of solar solution my company should use? – Is your current source of energy, diesel generators? – Is your current source of energy unreliable? If you answered yes to any of the above questions then you will require, at minimum, a diesel hybrid system or based on the cost of energy, a full off grid solution (solar + batteries + current source of energy). If you answered no to all three questions then a simple grid tied solution will suffice (solar PV + current source of energy). Q: Do you offer battery solutions with your systems? A: Yes, we do offer solutions that incorporate batteries. This is however, very project specific. Q: Which countries do you work in? A: We currently offer complete or financed plans in Kenya, Tanzania, Rwanda, Ghana and Nigeria. New markets are considered depending on size. 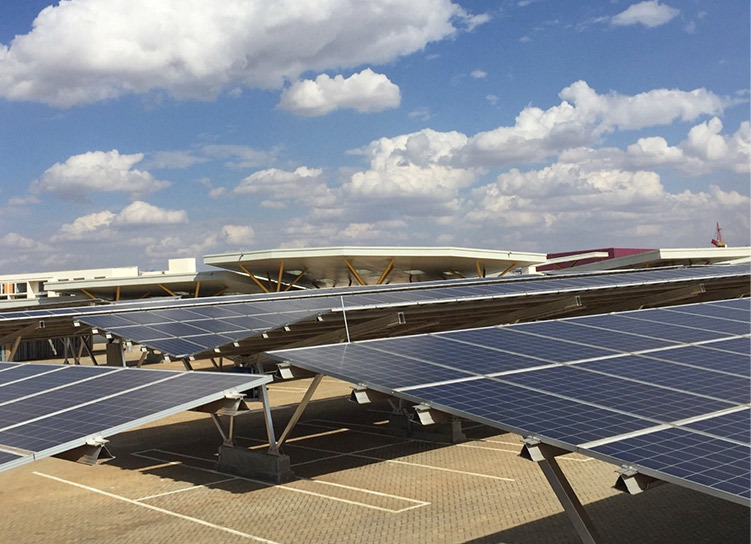 Q: Does SolarAfrica provide power purchase agreements (PPAs)? A: Yes, we do provide Power Purchase Agreements as one of our financing options. Making use of PPAs allows you to enjoy solar energy on a pay-for-use-basis. Q: How long does it take to get my business on clean energy? A: Project conception: 2 – 3 months including execution of all agreements and approval of final designs. Construction: 2 – 6 months depending on technologies deployed and installed capacity of the project. Q: What is the biggest system you have done to date?